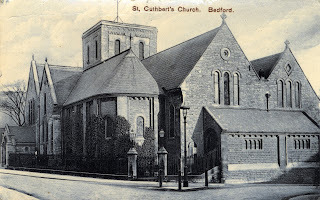 Sunday 28th January 1917: The new rector of St Cuthbert’s, Rev W. R. Scott, impressed with an address to the Bedfordshire Volunteers at a church service this afternoon. Rev Scott had just relinquished his commission as an Army Chaplain and missed addressing large groups of soldiers. In his address, he made comparisons between Britain and Israel – both nations, he said, were chosen for a very special purpose by God, a purpose not yet fulfilled, and both were inexperienced. Reflecting on an individual level too, Rev Scott stated that he could not see how men could be the same as they were at the beginning of the war and that the fighting between Christian nations proved the bankruptcy of Christianity. The only way for permanent peace was for nations to come back to the teaching of Christ. Tuesday 23rd January 1917: Three brothers from the same Leighton Buzzard family are all serving with the Bedfordshire Regiment. 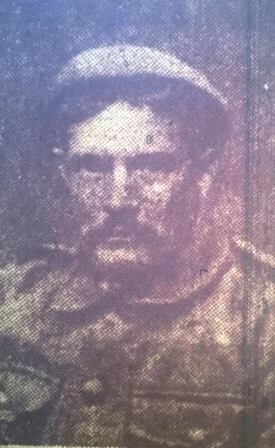 Their father, Mr. Robert Clements of 35 Mill Road is also an old soldier who is expecting to be called up for home defence; their mother Annie’s brother and nephew have also served in the Army, and her nephew was discharged due to wounds The eldest of the three brothers. Ernest, is married with three children. He was taken prisoner in April last year and is now in a prisoner-of-war camp in Germany, where the photograph above was taken. The other two brothers, Sergeant Jim Clements and Private William Clements are both serving with the Bedfords in Egypt. Sergeant Clements’ time in the regiment expired just at the beginning of the war, but he signed on again and fought at Gallipoli. In a recent letter he says that he and his chums had a “jolly good time at Christmas. This is the third Christmas I have been away from home, but let us live in hopes that the fourth will find us all together again, and then we shall have a good time … I am in the best of spirits up to now, for the war, we hope, will soon be over, and I will be back in dear old Blighty.” Private William was also at Gallipoli, where he escaped unscathed. He is finding the Egyptian climate rather hot. Monday 22nd January 1917: At the Bedford Borough Sessions, John Whelan, a soldier, was charged on remand with stealing from the dairy at 69 Bower Street a portion of the cash till and the sum of £2 from Harry Flood. Mrs Susannah Flood testified that the soldier came into her son’s shop and asked her to fetch him a cup of tea, which her daughter-in-law made. The soldier downed two cups and asked for a third, which he paid for. By this time, Mrs Susannah Flood was on her own and when she returned with a third cup, the soldier was no-where to be seen and the till drawer had disappeared. 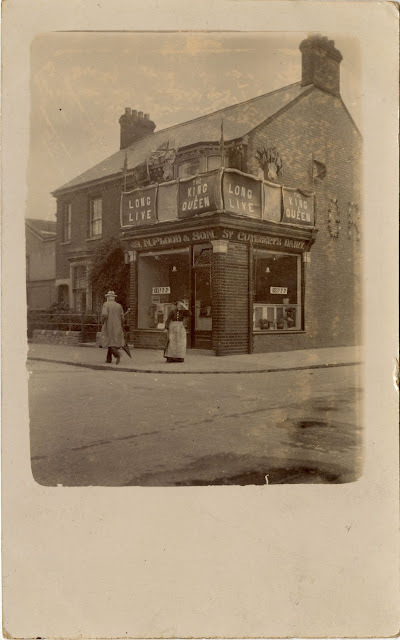 Mrs Alice Flood, wife of Harry Flood, corroborated that she had left the shop, leaving her mother-in-law with the soldier drinking tea. She next identified Whelan at an identity parade of soldiers living at 28 Goldington Road. A witness residing at 115 Bower Street testified to hearing a noise in the passageway at the side of her house on the day in question, where she and her son later found the discarded till drawer. A police officer found some half-crowns in Whelan’s pockets following the identity parade and charged him with stealing. Company Quarter-Master Skaine testified that Whelan’s pay was 3s 6d per week and that he had last been paid on the 10th January. Whelan denied the charges and pledged to pay for his own defence at the trial, rather than apply under the Poor Prisoners’ Defence Act as advised by the court. 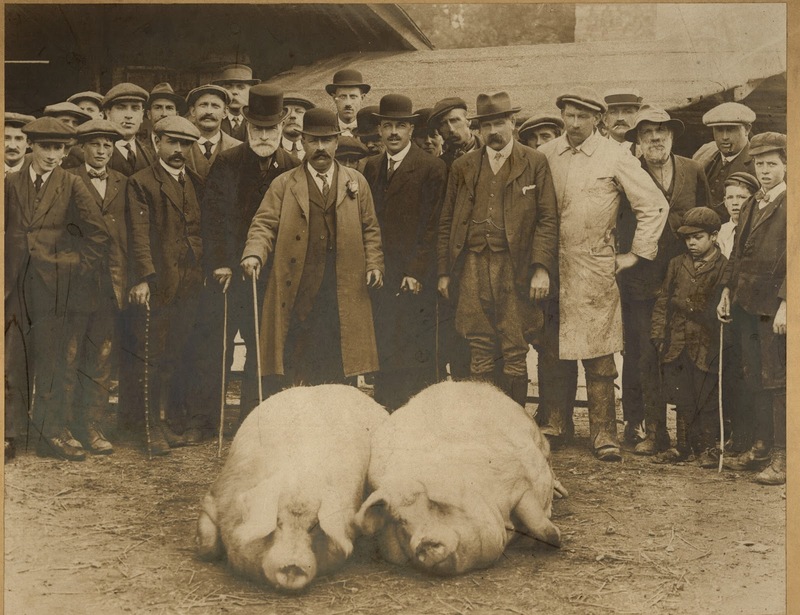 Wednesday 17th January 1917: At the monthly meeting of Bedford Town Council, it was agreed to waive a bye-law placing restrictions on the keeping of swine within the town, owing to food shortages. A discussion took place regarding how to implement the resolution, some councillors favouring the formation of a special committee and others favouring placing responsibility for licenses with the Medical Officer of Health. The Medical Officer himself did not think it was fair to place the burden of this important matter on one man, and favoured a small and powerful committee made up of practical men. He felt that he would be best placed to advise on where pigs may be reared safely in the Borough, of which he knew of a number of places, even if some places were close to residences. All agreed that new public health measures were needed, prioritising food production and diet rather than cracking down on ‘nuisances’. The inconvenience of a few smells must not stand in the way of people’s basic need for food, and a small committee with executive powers was set up to license pig-keeping. Dr. Bell has decided to continue his work with the military, but does not yet know whether he will be sent back to Egypt or to France. On entering his second year of service he will receive promotion to the rank of Captain. He has also expressed his thanks to his colleagues in Luton who will continue to carry on his medical practice in his absence, although “very much overworked”. Saturday 13th January 1917: Mrs.Catherine Williamson of Church Street, Leighton Buzzard has been officially notified that her son, Private Thomas Leonard Williamson of the Bedfordshire Regiment, has been wounded for the third time. The Chaplain has written from the Front to the Vicar of Leighton Buzzard asking him to break the news to Private Williamson’s mother that her son’s leg has been amputated. The young man is his widowed mother’s only surviving son. 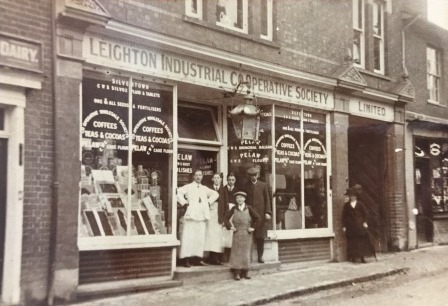 Before the war Leonard Williamson worked at the Co-operative Stores in Hockliffe Street as a baker and was a keen local sportsman who played for Heath United and for Leighton Buzzard Early Closers’ F.C.. He joined the Bedfordshire Regiment at the beginning of the war and was sent to France, where he received machine gun bullet wounds in his chest. After recovering from his injuries he returned to the Front where he was shot in the leg. On this occasion he was not sent back to England, but recovered at the base hospital and returned to duty for about a month before receiving a severe shrapnel wound which has cost him his leg. In his last letter to his mother he told her “I have had a very happy Christmas”. 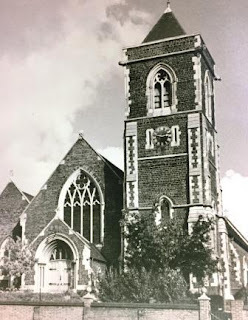 Wednesday 10th January 1917: Three Bedford boys aged 15, 13 and 10, were charged with stealing two kit bags worth £3 from billets at 50 Clapham Road. The billets had recently been vacated and when men came to clear-up found that the bags had gone. 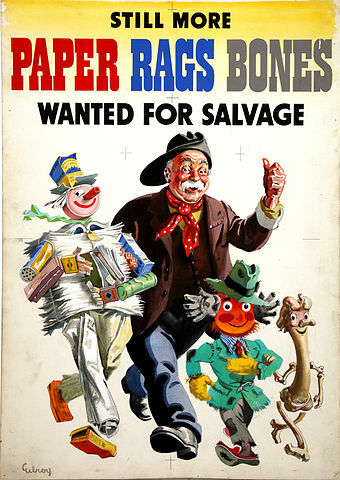 The men found the boys with the goods on a truck. Although considered a serious offence, it was the boys’ first appearance in court. One boy’s father had been killed in service, and the other two fathers were still serving in the Army. The Chief Constable offered to drop the case, provided that the mothers of the boys consented to them being whipped as punishment. The mothers agreed, and after the boys received a verbal reprimand, they were sent to the Police Station for a whipping. The Chief Constable pointed out that stealing and bringing home soldiers’ outfits could be dealt with very severely under the Army Act. Tuesday 9th January 1917: A serious accident took place at George Kent Ltd.’s munitions works at Chaul End at about 11 a.m. yesterday, in which two men were killed and a third seriously injured. They were taken immediately to the works hospital and given first-aid. The doctor was telephoned for and gave the men skilled attention before they were taken to the Bute Hospital by motor ambulance. However, Herbert Andrews, aged 17, of Cold Harbour, Harpenden died on the way to hospital. The second man, 45 year old Horace Crump of 90 Ash Road, Luton, succumbed to his injuries in the evening. Mr. H. Rowe of Toddington sustained severe injuries to one of his arms, but it is believed this will not result in permanent disablement. The works manager has expressed deep sympathy for the deceased workers’ relatives on behalf of the firm’s directors, and paid tribute to the courage with which the rest of the staff kept to their work despite this unnerving experience. An inquest is to be opened tomorrow afternoon, but it is thought likely that it will be adjourned until Mr. Rower is well enough to attend. Friday 5th January 1917: An alarming motor accident occurred in the early hours of the morning, the occupants of the car making miraculous escapes. Mr and Mrs Charles Hall of Octagon House, Cople, had been spending the evening with Mr and Mrs Galletly of the Midland Hotel, Bedford. 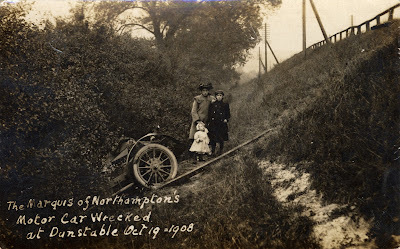 On their way home, a tyre burst over the Fenlake Bridge (Cardington side) and the car dashed into the ditch and up the bank on the left hand side of the road. Mrs Hall was thrown into the ditch, which was filled with water, and ended up with part of the car’s wheel over her leg. Miss Horton, a domestic help travelling with the Halls, came to her rescue by keeping Mrs Hall’s head above water. 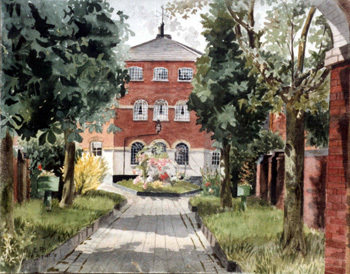 Once Mrs Hall had been freed, she ran back to the Midland Hotel to seek help and was accompanied by a police officer on duty in St Paul’s Square. She was joined later by Miss Horton and Mr Hall. Both were badly shaken, and Mr Hall’s face and hand were bleeding profusely. They were attended to by a doctor the following morning, before making their way back to Cople. 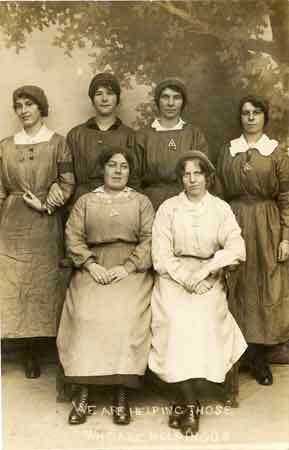 Monday 1st January 1917: Staff and local residents managed to ensure that the inmates of the Leighton Buzzard Workhouse in Grovebury Road enjoyed a good Christmas. The day began with carol singing in the wards, followed by breakfast and a morning service. The highpoint for the inmates was a dinner of roast beef and roast mutton, with parsnips, potatoes (baked and boiled) and plum pudding, washed down by beer and mineral waters. 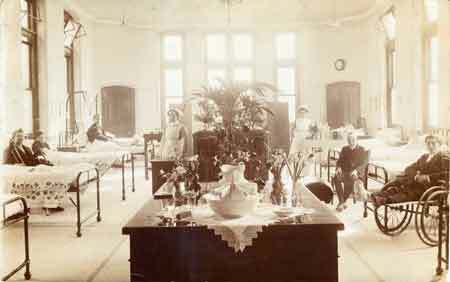 The dining hall was decorated by the Matron, Miss Levette, and the Infirmaries by the nurses. The usual tea was served but with the addition of cake and jam. During the evening the inmates enjoyed a programme of games and songs. Generous gifts were sent by local residents, including tea and tobacco from Mrs Rothschild; tea, sugar, toys, sweets, oranges, bananas and tobacco from Mrs Vandervell; cake from Miss Bassett of Stonhill; and cocoa, sweets, dates, oranges and biscuits for the Women’s Infirmary from Miss Sheerman.